Enjoying a glass of ice-cold lemonade, especially when you've taken the time to make it yourself, can perfectly augment a picnic or a summer afternoon spent sitting on the porch. This citrus beverage's caloric content depends on your recipe. A standard approach to making homemade lemonade is to combine about 2 cups of sugar with 2 cups of lemon juice and then add water to your taste. Regardless of whether you add a single cup or several cups of water to your homemade lemonade recipe, doing so won't change the caloric content. 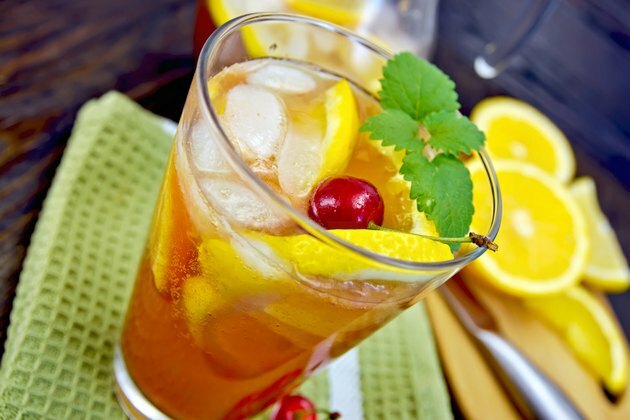 It's the sugar and, to a lesser degree, the lemon juice, that make this drink high in calories. According to the U.S. Department of Agriculture, 1 cup of granulated sugar contains 774 calories. One cup of lemon juice, meanwhile, has 54 calories. If you add 2 cups of each ingredient to your desired amount of water, your lemonade pitcher will have about 1,656 calories. If you divide your batch among eight glasses, expect each glass to contain about 207 calories. Why Do You Become Thirsty After Eating Sweet Foods?